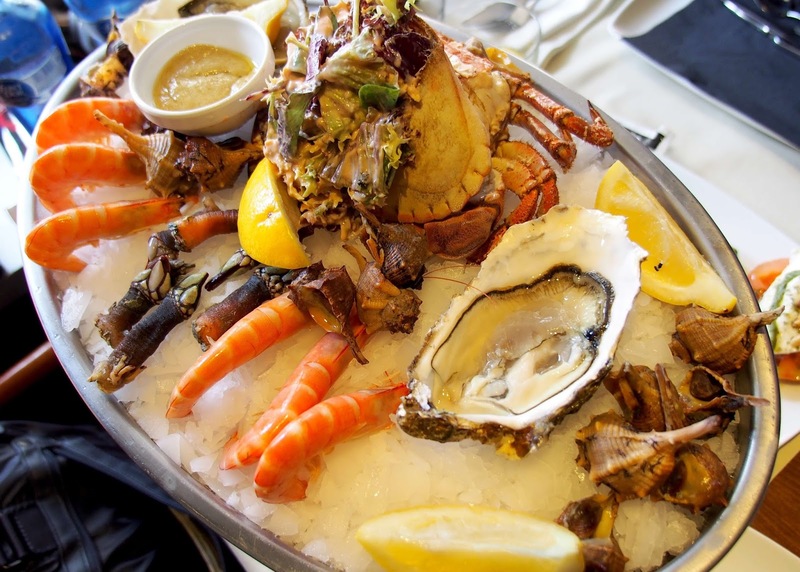 If you are looking for fresh seafood in a very nice environment, then you can't go wrong with MariscCo. 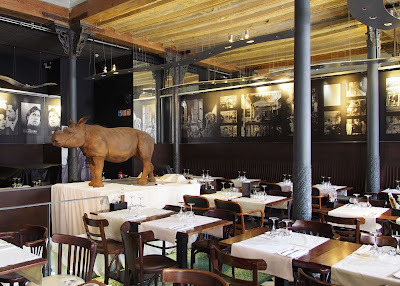 This stylish seafood restaurant is tucked in one corner of Placa Reial, my favourite square in Barcelona. 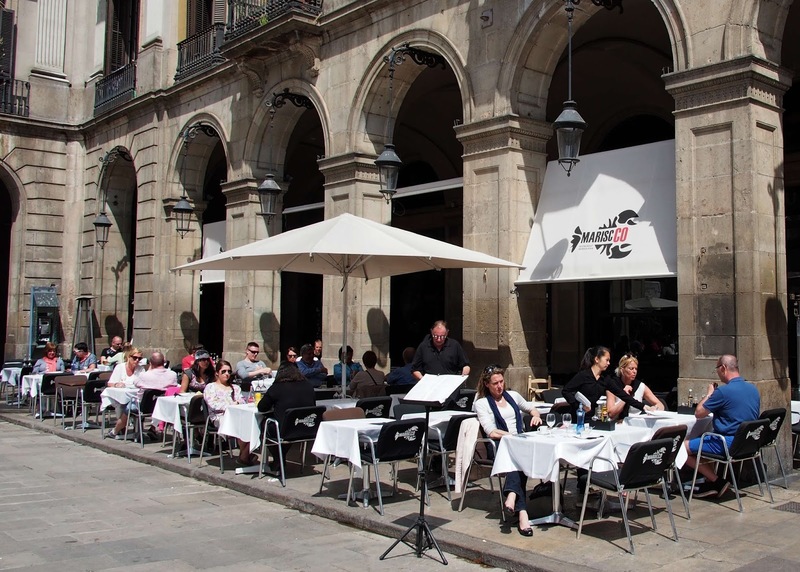 You can choose to dine inside or on the square. 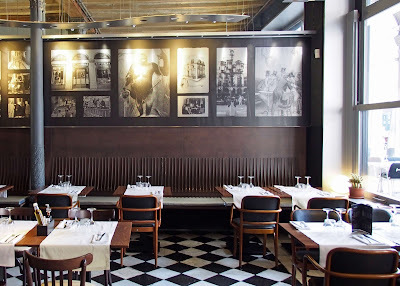 We opted for the indoor dining area which is a beautiful space but surprisingly empty as everybody else seem to prefer the outside. 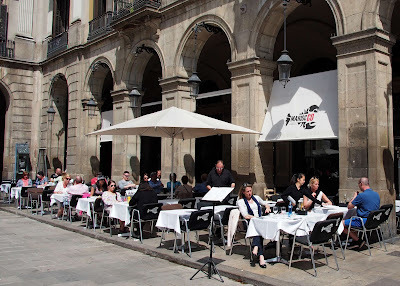 Seafood is the main draw in this restaurant, but they also have a large selection of tapas. We ordered a few to share. 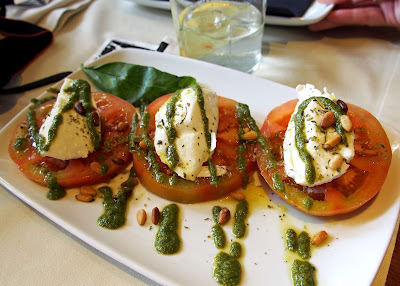 The tomatoes with cream cheese and pesto was a refreshing start. 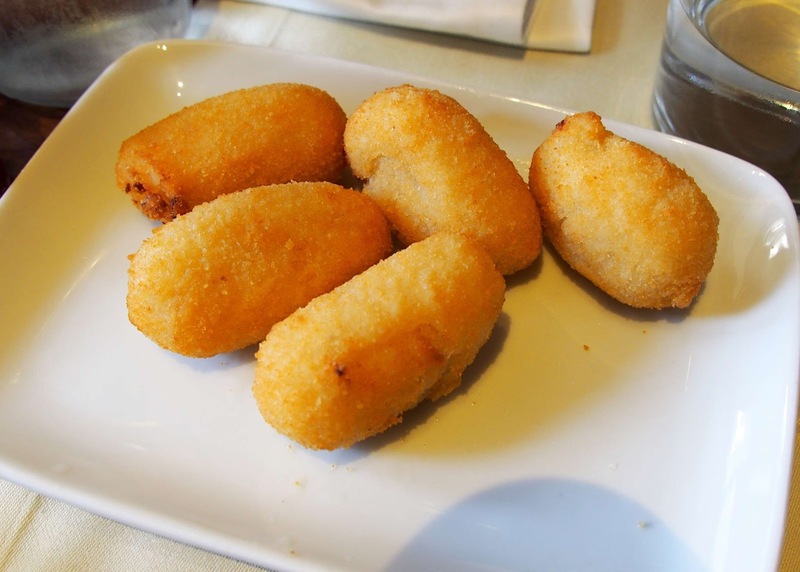 The croquettes were very light and fluffy - some of the best we had in Barcelona. 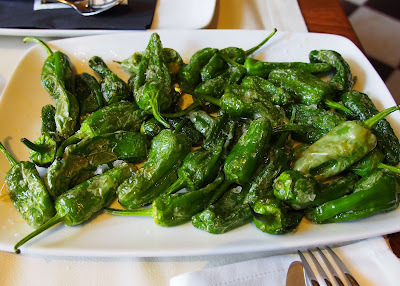 Deep fried green peppers - Pimentos de Padron. It is said that in each plate there are a few smoking hot ones. These were actually quite mild. The main reason we came here was for the seafood - and we ordered 2 seafood platters, one with oysters and crab and another with shellfish. 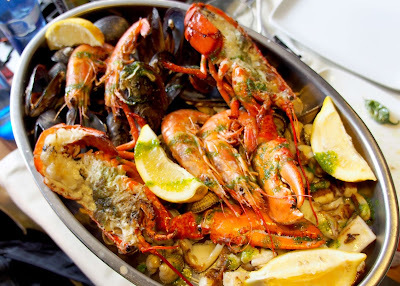 The seafood - especially the lobster and prawns, were beautifully prepared and delicious. MariscCo is a great seafood restaurant. The seafood is fresh and expertly prepared. 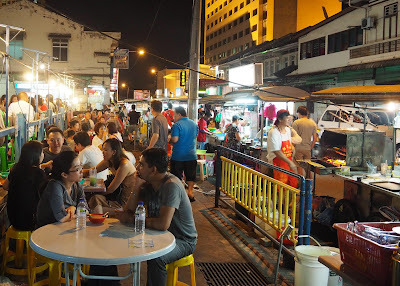 And the best thing is - the menu is reasonably priced in comparison. What's not to love ?